Why most of the marriages end up as a quarrelsome affair? This is because the couple before tying the knot are so excited that they overlook various integral points. The most neglected one is the pre-marriage counselling.? Marriage is a lifelong bond and not a social contract that a person can break or amend easily. Marriage is altogether a new sphere of life that brings along numerous responsibilities. So, a couple needs to understand and discuss certain points beforehand. For this, pre-marriage counselling helps a lot. 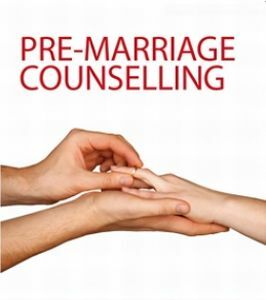 What is pre-marriage counselling ? It is a kind of psychological counselling that assures that a couple enjoys a healthy marriage. The couple is asked various questions based on different topics. But most of the couples do not pay heed to it and simply get married. The consequences thus faced are unavoidable and painful. Why pre-marriage counselling is required ? These are only few of the reasons as to why you need a pre-marriage counselling. There are various other reasons or benefits as we can call that will force you to go for a pre-marriage counselling. Various marriage counselling agencies are there to render their services. Basic things are discussed by a marriage counsellor in order to make the couple understand the problems that can become an obstacle in the future. What are the things that a counsellor discusses? Also, assistance is offered on various other aspects like sexual issues, children issues, religion difference etc. Thus our write up must have offered you concrete reasons of visiting a pre-marriage counsellor. So, visit a pre-marriage counsellor in order to avail important information and suggestions needed for a successful married life. Nice Post ! Pre marriage counselling assists in strengthening a marriage and helps the couple to prepare for any possible challenges or conflicts that may come up in their marriage in the future. Thanks for a great article. Marriage counselling help can actually be more effective than one expects. The first thing to note about marriage counsellors is that they provide suggestions and feedback that are specially catered to marriage and relationships.